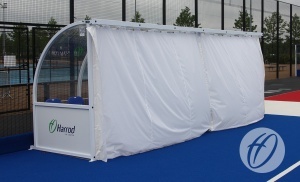 Waterproof curtain designed for curved team shelters to protect seats. 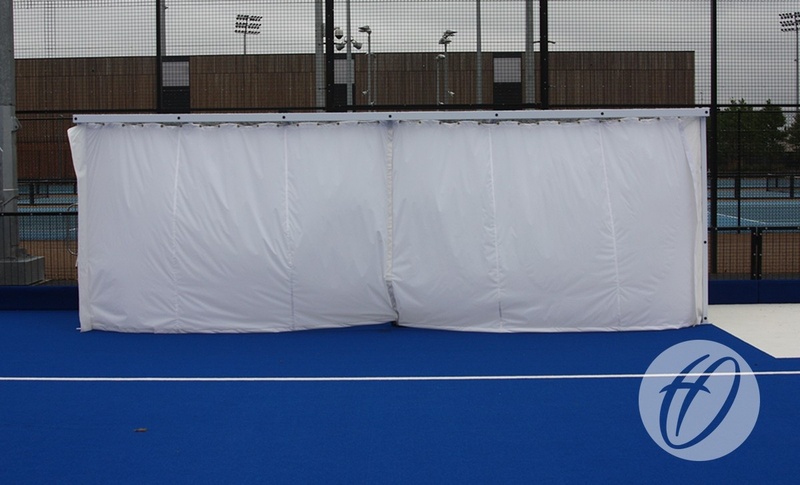 Curtain pack comes as a two piece curtain made from soft white pvc material, with a pvc end pockets which is fixed to the side frame with self tapping screws to hide the curtain when not in use against the two outside uprights. 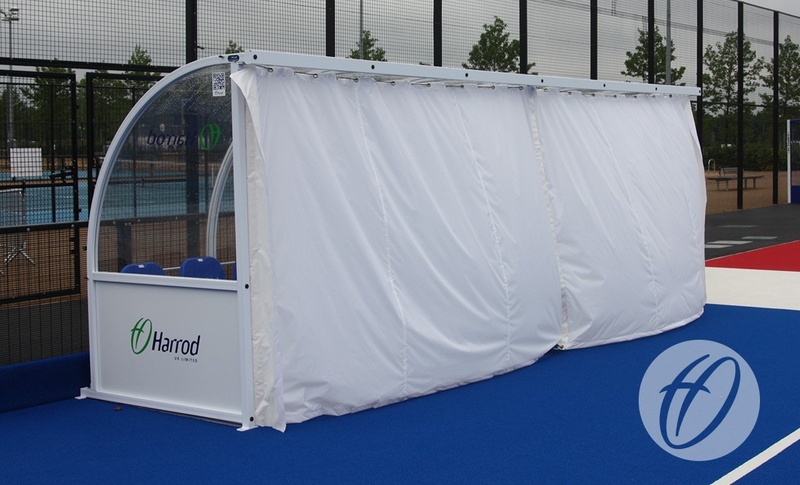 The curtain runs on 3mm Galvanised wire, plastic coat for protection, attached to the crossbar. Wire is tensioned up using a galvanised barrel strainer. The curtain has a central hook-and-loop fastening join to keep the curtain closed when in use.